Getting hurt in an automobile collision is bad. Receiving a massive medical bill after getting treatment at an emergency room or other medical facility can feel even worse. Why? Because you are physically damaged as a result of the crash and receiving that bill confirms you may endure financial damage as well. You will probably receive bills from the ambulance service that transported you to a local hospital, the treatment you received from the ER, the radiology department within the hospital, etc. And this does not even include the costs associated with follow-up visits, prescription medications, chiropractic visits, physical therapy, and so on. You probably feel a bit overwhelmed. Do not fret. There are steps you can take to help manage the medical bills you accrue after a car wreck. Florida is a no-fault auto insurance state. This basically means you can file a claim for reimbursement of medical expenses and lost wages without a designation of fault in a collision. The coverage you can access is known as Personal Injury Protection (PIP) benefits. But it is important to understand that PIP is a limited benefit that only covers a portion of your medical expenses. The cap on PIP benefits is $10,000 per person for accrued medical expenses stemming from the injuries you suffered in the wreck and when those injuries are deemed to be an emergency medical condition. If your injury does not meet these criteria, you can only access up to $2,500 in PIP benefits. PIP can also be accessed to help reimburse you for your lost wages. But again, there are limits. PIP will only reimburse you for up to 60 percent of your lost wages and the amount is capped at $10,000 in total benefits. PIP will only compensate you for medical expenses you incurred within 14 days after the collision. This is why it is so important for you to seek immediate medical attention after a car wreck. If your damages exceed $10,000, you will need to file a personal injury claim against the other driver’s auto insurance company to seek further financial restitution. This process can wind up becoming quite complicated and frustrating, especially if you are struggling with a serious injury. Hiring an experienced attorney allows you to focus on your recovery. Your lawyer can take care of the legal work on your behalf. The Miami car accident lawyers at the office of Alan Goldfarb, P.A. understand what it takes to get the financial restitution you are owed from the other driver’s insurance company. 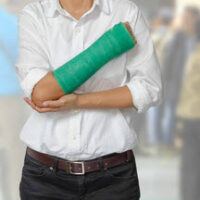 Our lawyers possess decades of experience helping injured Floridians in their time of need. Contact our office today to schedule a free, confidential case review with one of our attorneys.